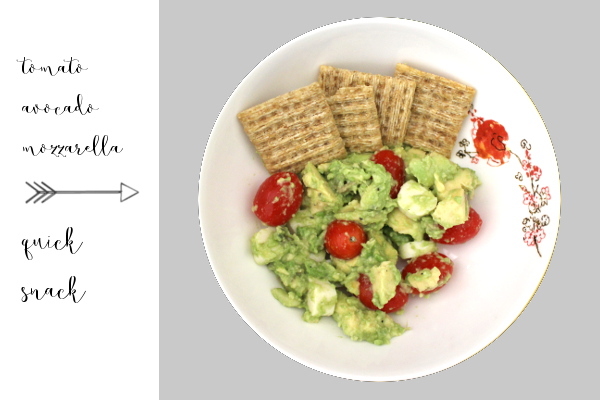 My new afternoon quick snack, when I’m in the 3 o’clock lull of the day, is this delicious and easy to make avocado bowl shown above. A quicker, more basic version of the traditional avocado, tomato, mozzarella salad; this snack is healthy and so yummy! 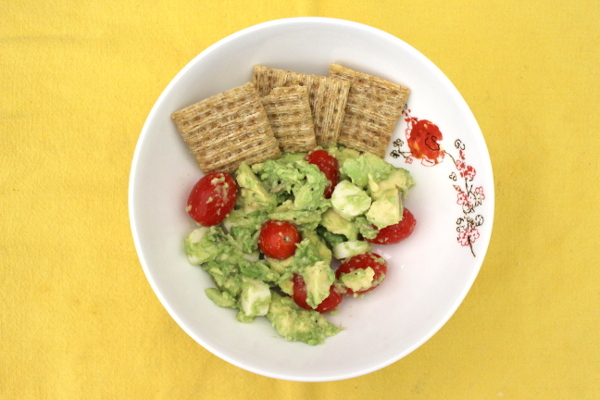 Sometimes I just make this for lunch; its really good on criscut wheat crackers or wheat thins too. Mix all of these ingredients together and enjoy!